10% Copper? 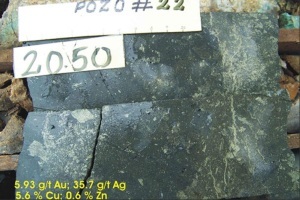 Salazar Resources Has Rich Rocks At El Domo! 10% Copper? 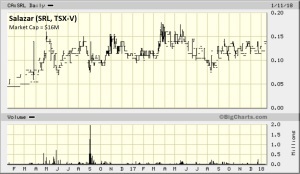 The Rocks At Salazar Resources’ (SRL, TSX-V) El Domo Deposit Are Really Rich! 22 Metres Averaging 7.4 g/t Gold, 4.4% Copper, 82 g/t Silver, and 4.4% Zinc! Now that’s a smokin’ intercept! Salazar Resources (SRL, TSX-V) published those assay results from a deep exploratory drill hole (CURI-237) back in September. 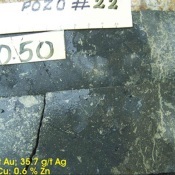 CURI-237 was collared approximately 30 m northeast from CURI-106 which was drilled in April of 2010 and intersected 36.3 m of 3.7 g/t Gold, 35.8 g/t Silver, 4.4% Copper and 1.5% Zinc in the west-central sector of the El Domo deposit. These rocks are incredibly rich, however you break them down! 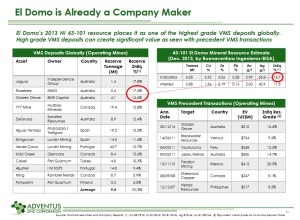 Salazar Resources JV partner, Adventus Zinc (ADZN, TSX-V), chooses to look thru the “Zinc” lens, and their calculations rank the El Domo deposit (one of +12 known targets within the 21,537 hectare Curipamba property) among the world’s richest on that basis. 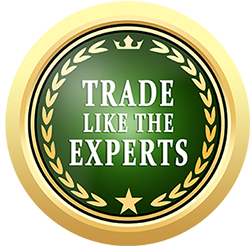 Smart geologists and smart money financiers really like this project! To my understanding, Lundin Mining’s (LUN, TSX) Senior VP of Exploration, Neil O’Brien, is one of Curipamba’s biggest fans (which explains why the company took a 5% stake in Salazar Resources years ago at much higher prices. 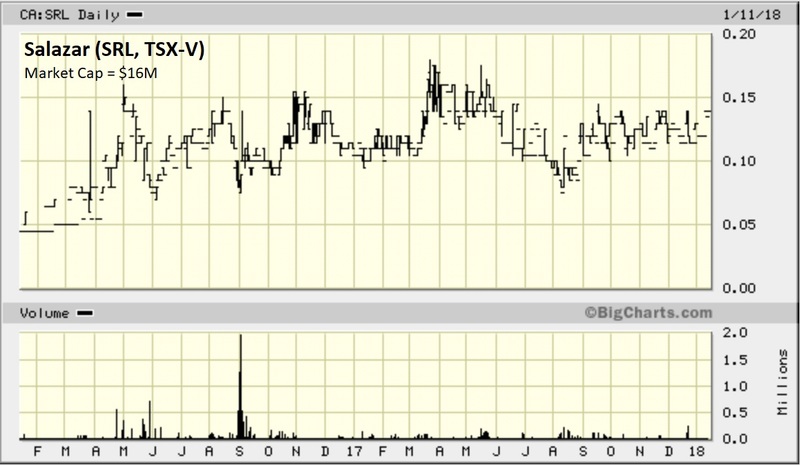 The group at Altius Minerals (ALS, TSX) obviously likes the existing resource and exploration potential, because they’re making a pretty big bet on it via Adventus (which must spend $25 million to earn a 75% stake). 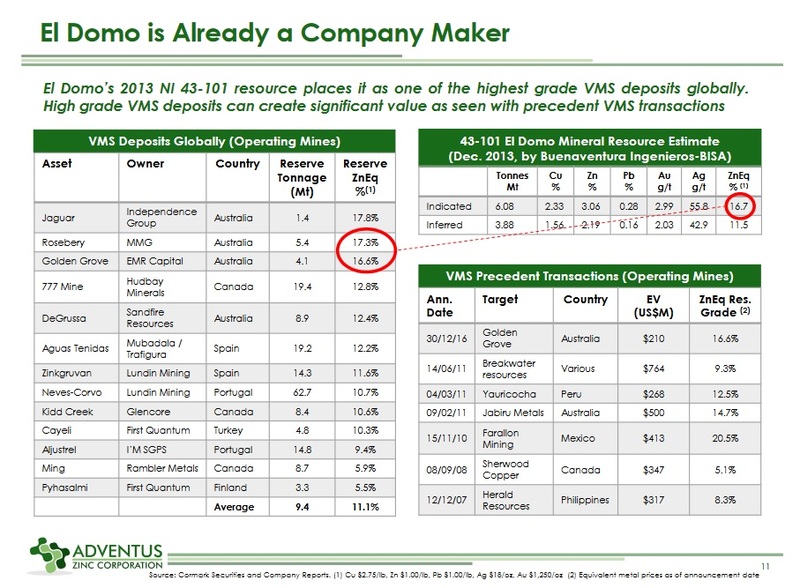 Regarding the “smart money”, Resource Capital Funds and Greenstone Resources have the ability to advance the project to production, assuming the opportunity is warranted (Salazar Resources interest would be carried the entire way). According to one of my sources, Altius Minerals (ALS, TSX) Founder and CEO Brian Dalton said Curipamba is one of the best looking exploration projects he’s ever seen! Geologically speaking, there are some “weird” and potentially special things happening there, which normally means GOOD things. While the VMS potential is well recognized, Curipamba could also host a completely different type of system (perhaps hydrothermal). While Eskay Creek is famous for its very high-grade Gold, many people have forgotten that it was technically a VMS deposit with Copper and Zinc to go along with the exceptional Gold and Silver grades (so comparisons are being made between the two). I bring SRL back to your attention today not because it’s going to be “the next Eskay Creek” (although there’s a chance), but because I’m convinced that 2018 is going to be a breakout year for the stock – after all, we’re in a bull market! After slowly trending higher for 2 years, why wouldn’t SRL break out soon, especially given the backdrop of rising metal prices and a thorough exploration program that’s now underway? 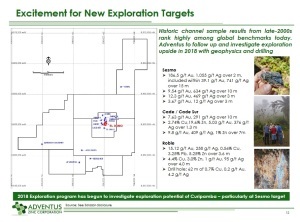 Adventus is going to spend $7 to $8 million (U.S.) on exploration this year. Two rigs will be running for around 6 months, hitting high-priority targets with 20,000 or so m of drilling. Four teams will be working separately on further exploration reconnaissance, acquiring more surface rights, drilling, and digitizing everything. All of that is going to generate a good amount of news flow! Drilling will start at “Sesmo”, where channel samples yielding 39 g/t Gold and 741 g/t Silver over 15 m have never been drilled! Aside from those exciting exploration targets, Salazar Resources will be seeking additional projects in Ecuador via its “exploration alliance” with Adventus. And I expect Salazar Resources will introduce a new project (and with any luck a discovery) from its portfolio of wholly-owned assets. They have a few in Ecuador and recently staked nearly 20,000 hectares of ground in Colombia’s Narino region (artisanals have been mining there for ages, but it’s been off limits for various reasons until recently). 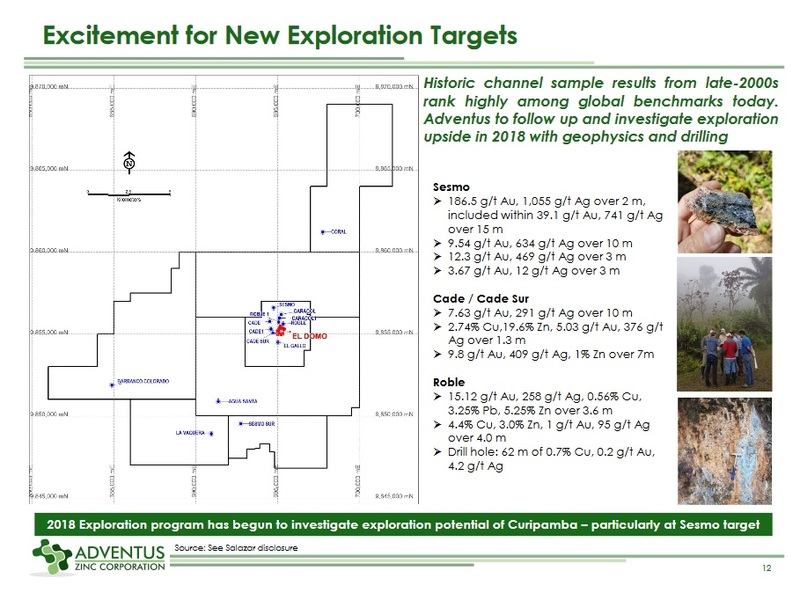 As a management team that’s exactly what Salazar Resources needs to do – they’ve successfully minimized dilution going forward via the Adventus development deal at Curipamba, now they need another high-grade exploration story to go alongside it. SRL is tightly held, with insiders and strategic investors controlling more than 50% of the stock, so I suspect it’s going to move up quickly when it does. 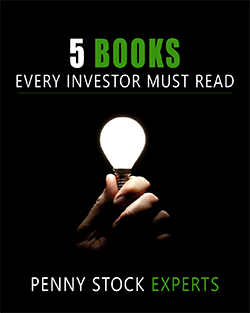 Investor patience, though, is required – while the risk-reward ratio at current levels (14 cents) is extremely favorable, and SRL will push higher on fundamentals, management has shown little interest in promoting the stock.